Hollywood actress Lupita N'yongo was recently in London for the premiere of the movie 'Queen of Katwe' at the BFI Festival. 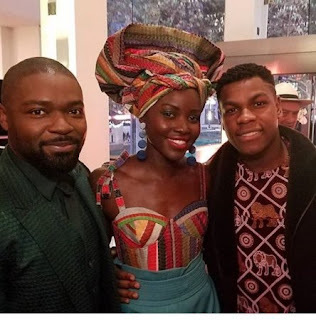 She was joined at the premiere by David Oyelowo and John Boyega. Lupita posted a charming photo of the three of them and described them as her “favourite Naija men”.